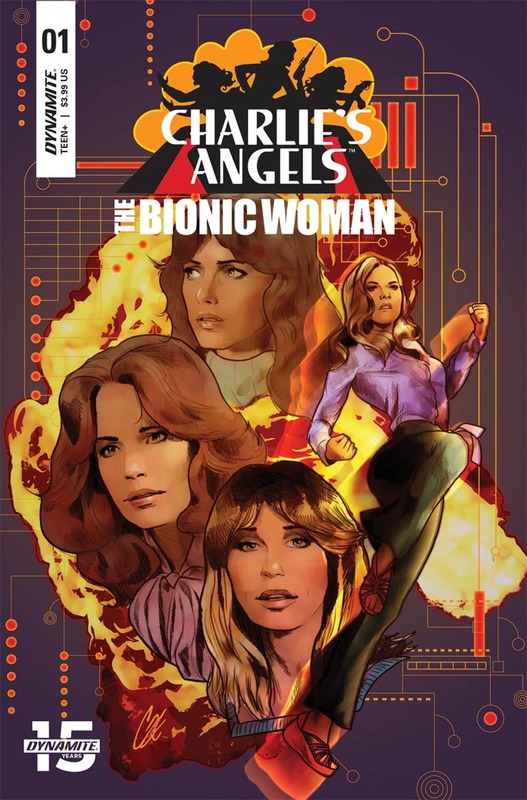 Dynamite Entertainment is excited to announce the first wave of its all-new Altered States line where familiar characters from Dynamite's comics will appear in brand-new adventures unlike anything fans have seen before. Vampirella, Red Sonja, The Shadow, and Doc Savage will each star in their own story set in a parallel reality in the vein of DC's classic Elseworlds and Marvel's What If! where anything can - and will - happen to them. 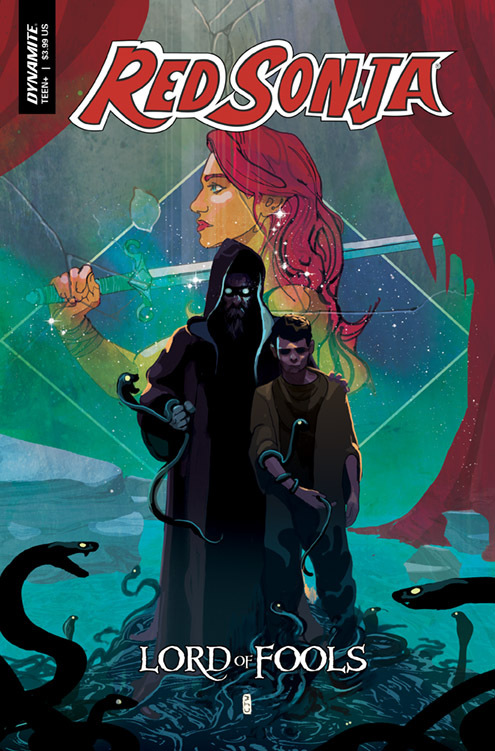 · Writer Brandon Jerwa teams up with artist Juanan Ramirez for Altered States: Red Sonja, a story about a red headed museum worker in New York City who soon finds herself fighting for survival in a dystopian-inspired Hyborian wasteland. 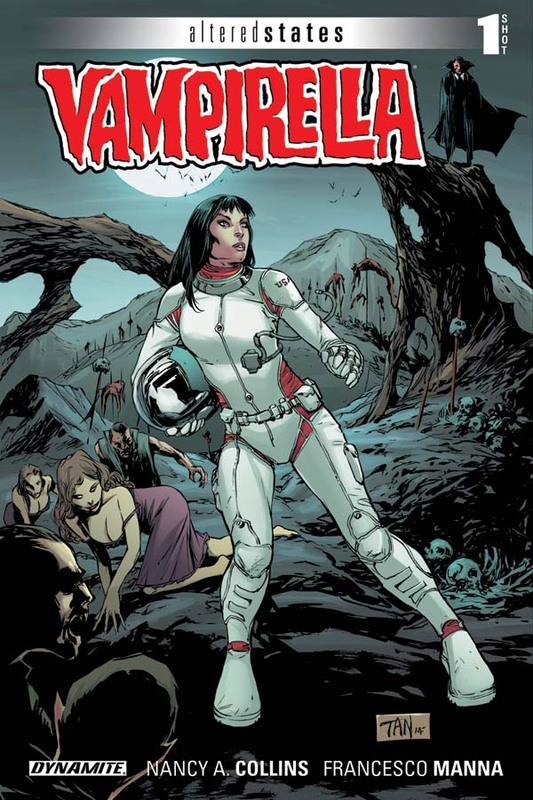 · In Altered States: Vampirella, veteran Vampirella scribe Nancy A. Collins and artist Francesco Manna turn the tables on Ella Normandy after she survives a crash landing to become the sole human on a planet full of Vampires. 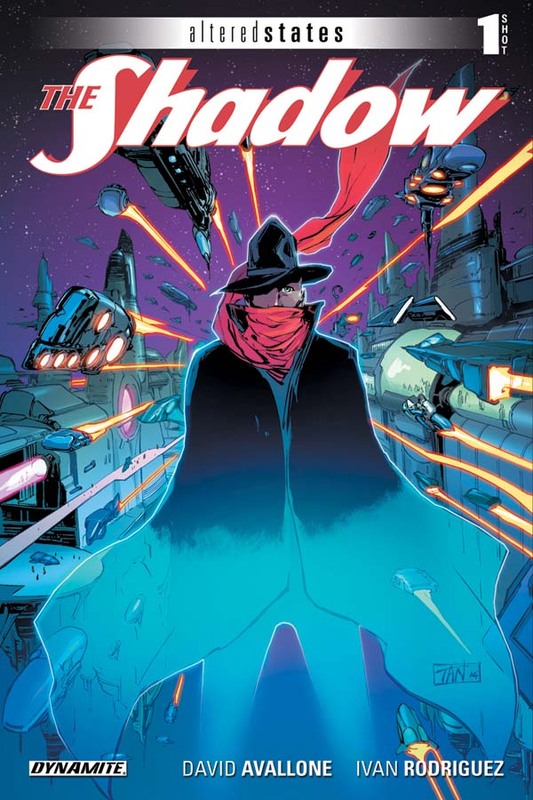 · Writer David Avallone pulls double duty in this special event, teaming up with artist Ivan Rodriguez for Altered States: The Shadow, and a tale that proves once and more that there are worse things in the world than the evil that lurks within the hearts of men. 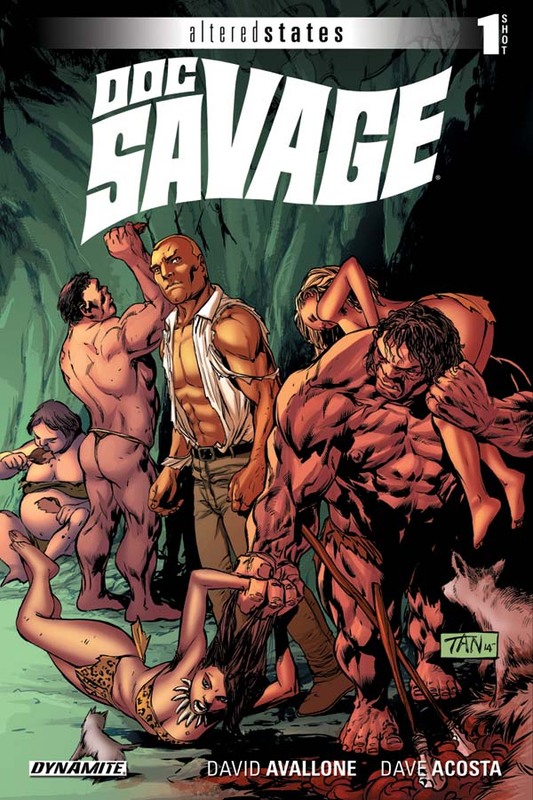 Then in Altered States: Doc Savage, David and artist Dave Acosta explore what happens when the world's most powerful man is turned into a rampaging beast whose very humanity may be lost forever. Each issue will feature a cover by Billy Tan. "What If? and Elseworld stories have been a part of comics for 40 years," said Dynamite Publisher and CEO Nick Barrucci. "There's always that "Would that be cool" or "what if we had him or her do that" story that doesn't fit in to continuity. Now we can pick some of the best stories and create "Altered States" for our branded characters. These 4 books stand on their own yet will be the foundation for this universe of characters." Each Altered States story will unfold in a 32 page full-color comic. With a new issue planned for release every Wednesday in March. Fans eager for more info on Altered States should follow Dynamite on Twitter, Facebook, Tumblr, and Instagram for the latest updates as they come in. Altered States will be solicited in Diamond Comic Distributors' January Previews catalog, the premiere source of merchandise for the comic book specialty market, and slated for release March 2015. Comic book fans are encouraged to reserve copies of Altered States with their local comic book retailers. Altered States will also be available for individual customer purchase through digital platforms courtesy of Comixology, iVerse, and Dark Horse Digital.